A global men’s health charity, Movember is focused on tackling key health issues faced by men, while encouraging them to stay healthy in all areas of their life. 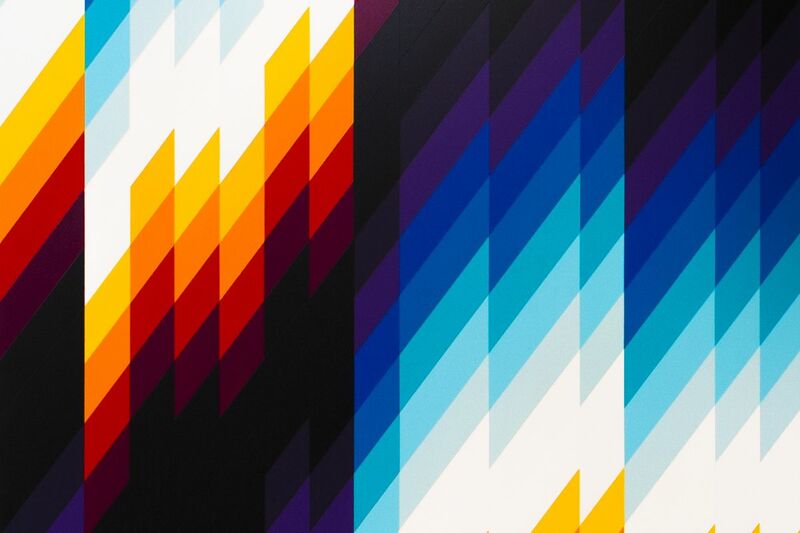 The Foundation’s cause will now be aided with Sotheby’s offering ten powerful new works by some of the most prolific street artists out there. 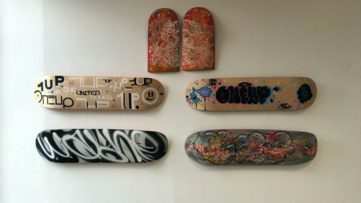 In an initiative spearheaded by D*Face, each artist has created an agenda-setting piece motivated by and aimed at nurturing open conversations surrounding men’s mental health and suicide prevention. 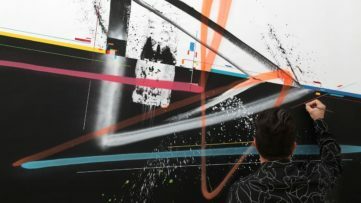 These works will go on view to the public at Sotheby’s London galleries as part of the Contemporary Curated exhibition, where they will be offered at a charity sale in November called Against the Wall. Proceeds from the sale will benefit the Movember Foundation and their dedicated investment in ground-breaking mental health programs. 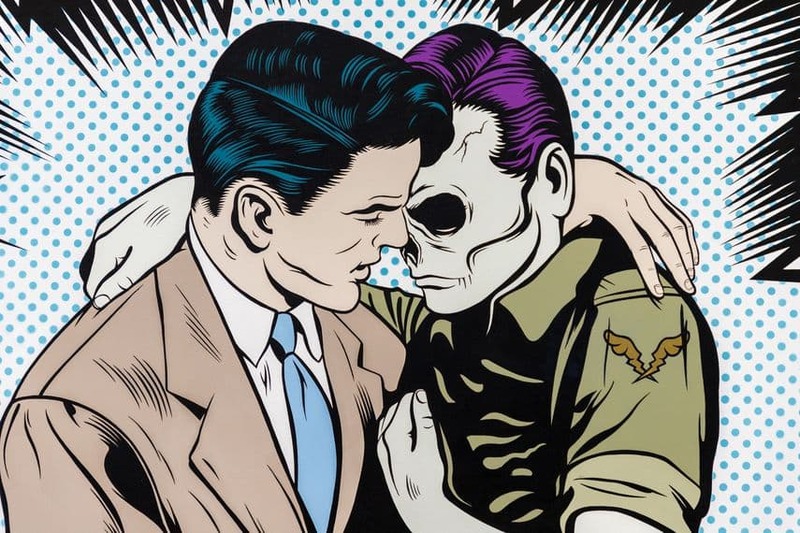 The initiative was kickstarted by artist and gallery owner Dean Stockton, better known as D*Face and celebrated internationally for his impactful comic-strip work. 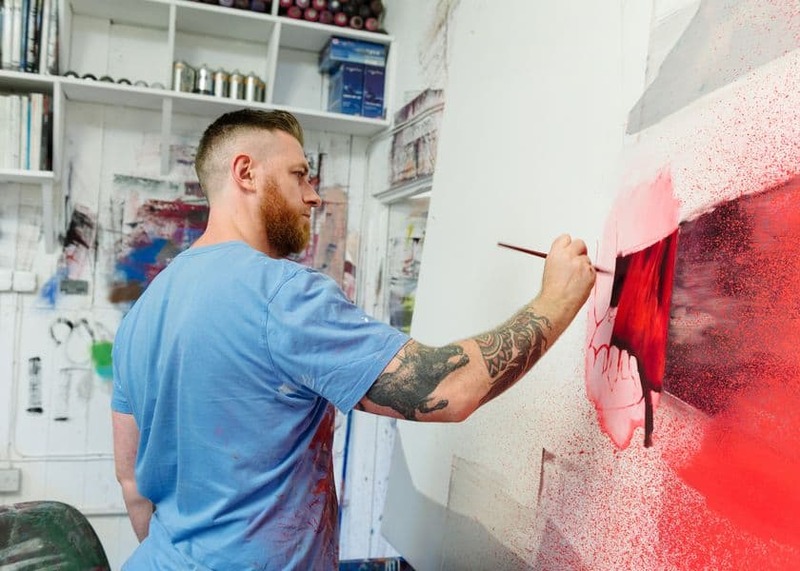 After meeting with Movember’s Ben Bowers, he came to the idea of the charity auction, guided by his belief that Street art as a medium that has always been about breaking barriers, has the ability to breach the social stigma of men’s mental health. It’s no secret that many artists across history, including myself, have battled with issues of isolation and loneliness. What Street Art brings to the table for both artist and viewer alike is a catalyst for conversation, a common point of reference for casual discussion and precisely what men struggling with their mental health are in need of. 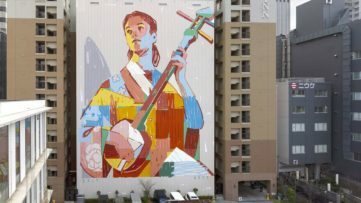 In addition to D*Face, the artists taking part in the initiative are Shepard Fairey, Jonathan Yeo, Invader, Alexis Diaz, Okuda, Vhils, Felipe Pantone and Conor Harrington.JC, Co-Founder of the Movember Foundation, explains that Against the Wall is an amazing project that can start important life-saving conversations between men. By stepping out from behind the canvas these amazing artists are showing their own vulnerability and starting their own conversations around men’s mental health and suicide prevention that we can all be inspired by to take positive action in our own lives. A movement that at its very core is about passionate social and political expression, I can’t help but feel that street art is the perfect medium to foster open conversation on men’s mental health. The Contemporary Curated exhibition will take place at Sotheby’s London galleries from November 16th until November 20th, 2018, while the auction titled Against the Wall will take place on November 20th. Complementing the sale of the original works, StolenSpace Gallery will be offering a limited number of exclusive prints by the artists involved in the project. These will be on sale from November through the StolenSpace website. 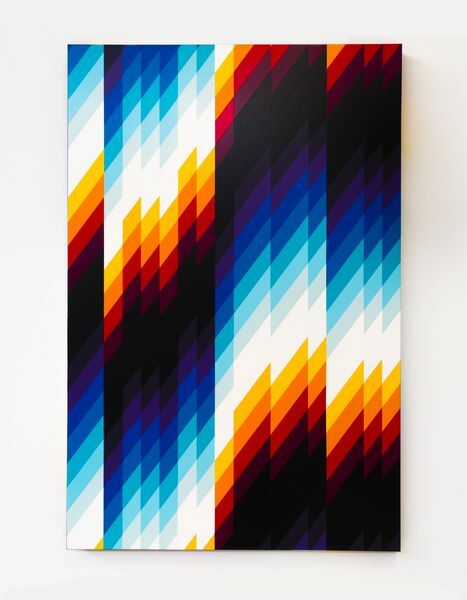 Featured image: Felipe Pantone – Chromadynamica #76 (detail). All images courtesy of Sotheby’s.